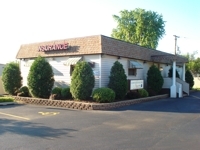 "Insuring It All Since 1962"
Hours: Monday - Friday 9:00 A.M. TO 4:30 P.M.
We Offer Insurance For Every Need. 401K, IRA, General Liability, Commercial And Much More. quote using our easy to use website or Request a quote online by clicking here. insurance coverage at rates you can live with.